The possibilities to suppose KeNako asbl. are multiple. 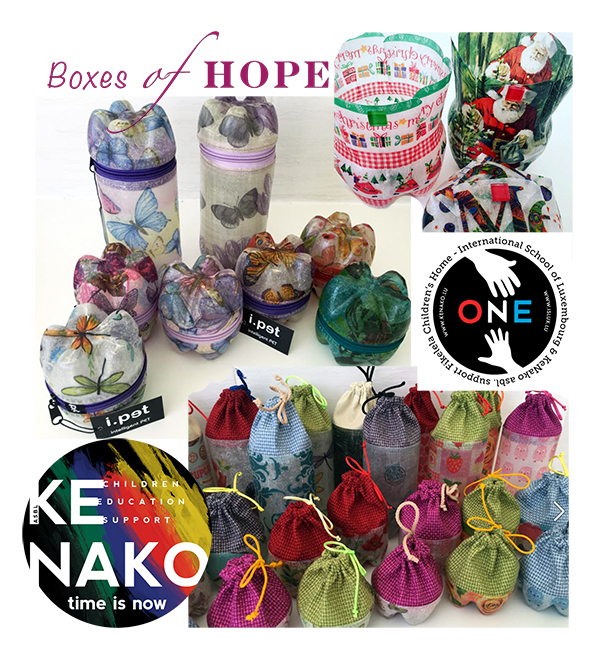 - MAKE A DONATION > Iban LU22 0019 3455 1443 5000 - BIC : BCEELULL or click "DONATE"
- BUY OUR "BOXES OF HOPE"
SUPPORT KeNako asbl. by buying "Boxes of Hope". 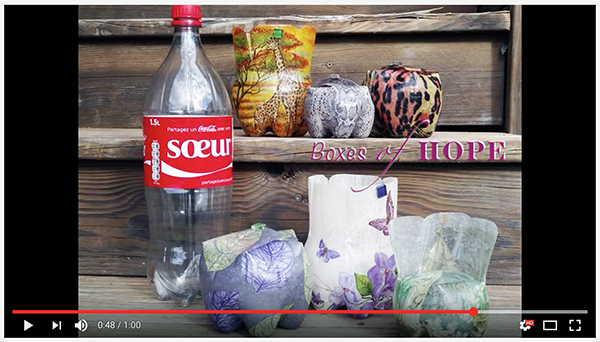 Crowdfunding > support of the project "1CHILD=1MEAL=1€"
Made locally in Cape Town by "All Women Recycling" from plastic bottles. JUST fill these boxes with your imagination. Become an active member now! BCEE : KeNako asbl. Project "1child=1meal=1€"
Please do not forget to indicate your name, home address and email address on your payment stud. As a member of KeNako you will receive periodic email updates. A contribution of 10€ per year is your first step in becoming a member of KeNako. Your contribution is vital to achieve our goals. Yes, I wish to support the activities of KeNako and become a friend of Kenako. Here is my 10€ a year contribution. You may choose between a one-time donation or a donation spread over a given length of time. Yes I wish to support the activities of Kenako by a one-time donation. Yes I wish to support the activities of Kenako by spreading my donations over a given length of time. To help us lent our activities to have the most stable basis please consider two types of sponsorship both will provide daily meals for the children. Yes I wish to support the activities of KeNako and help provide meals for the children throughout one academic year. Here is my contribution of 250€. Yes I wish to support the activities of KeNako and help provide meals for the children. I choose the amount and duration of my contribution. Your generous contribution will be handled directly to the intended project, without any go-between. KeNako makes sure that your contribution and the KeNako commitments to its stated goals get respected. YOU MAY ALSO WISH TO GO A STEP FURTHER AND TO BECOME A VOLUNTEER ! Like many other non-profit organization, KeNako needs volunteers to do its best work and achieve its goals. Come join us in Cape Town and share your know-how and talents in one of our projects.